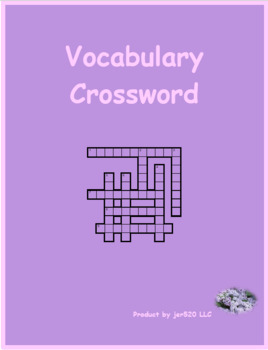 Crossword puzzle gives the name of a color in English with m/f (masculine or feminine) and s/p (singular or plural). Students fill in the colors in French. Includes the colors black, gray, white, purple, blue, green, yellow, orange, red, light blue, dark blue and what color. 5 versions included. 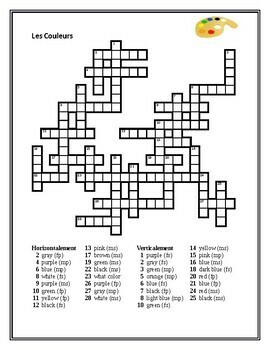 Vocabulary matches Bien Dit 1, but may be used with any text.